Shadow Shields - Makes your life easy and mess-free! 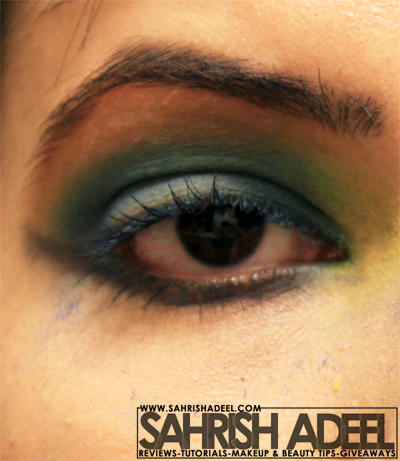 -Review- | Sahrish Adeel - Malaysia based Pakistani Beauty & Lifestyle Blogger! Working with darker and dramatic color is fun but does it always leave you with a messy looking under eyes? Today I have a great product to review called Shadow Shields and I am glad I got the opportunity to try it. 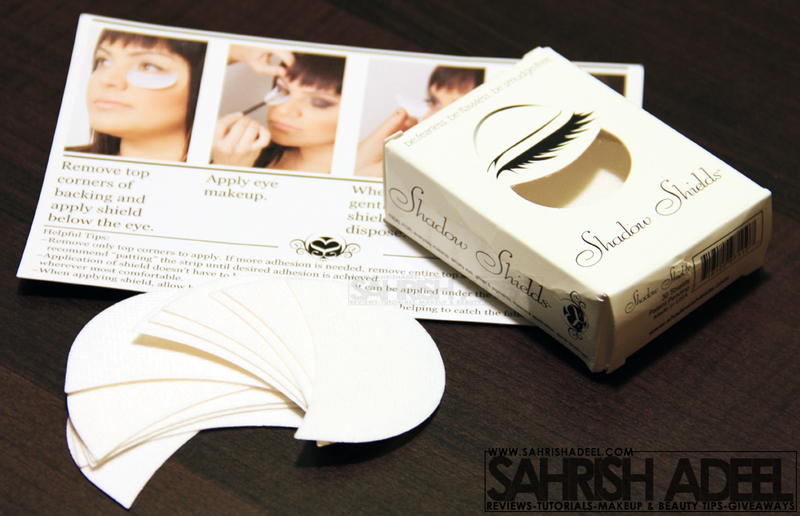 Shadow Shields were created by a makeup artist and a mother named Michelle Villanueva. Her aim was to create something to help save time and mess. I guess she succeeded pretty well because I am loving this product. Lets get to the review now. 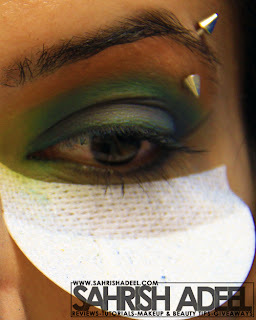 Saves alot of mess that we get while doing eye makeup, specially when dealing with blue and black shadows. Catches eye shadow fall outs pretty impressively. Saves all the time that cold be waste while clearing up the mess. Has a stick on feature. Self adhesive is not harsh to the skin. Keeps your hands free as you don't have to hold the shield under your eyes. You may find it a bit uncomfortable in the beginning but you will get used to it. Remove the top corners of backing and apply shield below the eye. You can either apply it just directly on our lash line (this is a perfect place for you if your mascara tends to mess up your under eye area) or under the bulge of your eye. If you need more adhesive, you can remove the entire top strip. 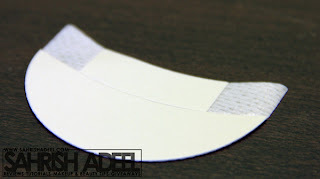 If you find the adhesive too sticky for your skin, pat it once on the back of your hand, remove it and apply under your eyes just like we do the tape method. Make sure you don't apply much foundation before apply the shields as it will make you sweaty and your shield can go off. When applying shadow shields. 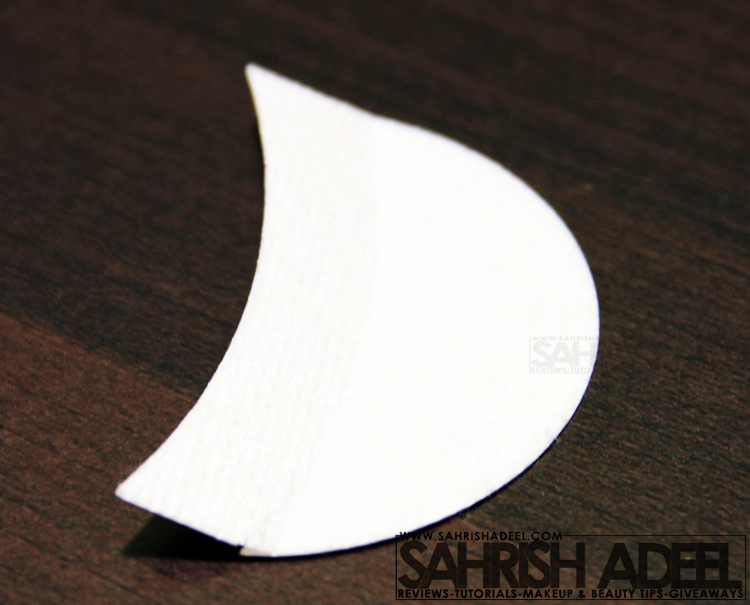 allow backing to crease. 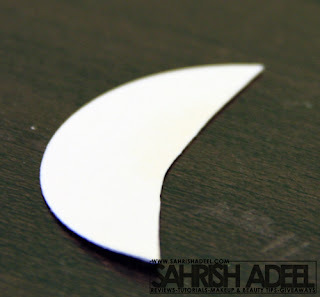 It will form a small lip as shown in picture, this will help to catch the fallouts more efficiently. Apply you eye makeup and remove the shield. 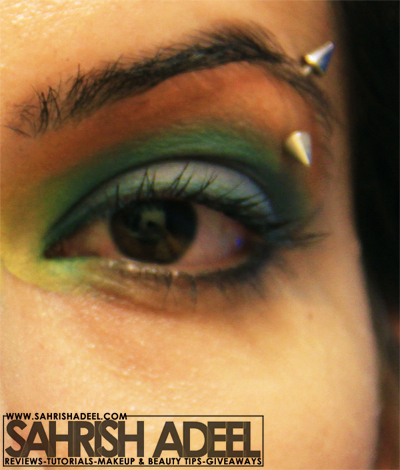 I use it to catch fall outs during eye makeup, specially when I am using black/blue eye shadow, loose pigments or glitters. If my shield is not really messy, I don;t usually throw it away, I cut the lower part and use it instead of tape while doing tape method makeup. You can see in these pictures how it caught up the fall outs and saved me from all that mess =) I tried to use all the bright colors I could think of so you could see the results. Left one show the use of Shadow Shields & you can see how messed up my under eye area look in right one. 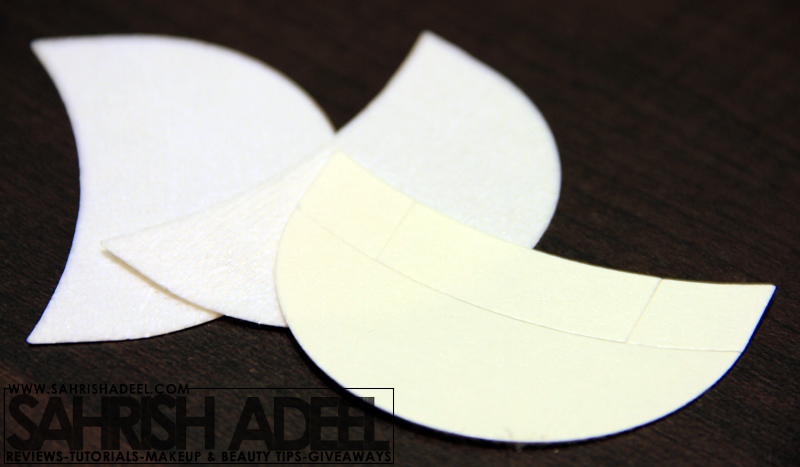 As Shadow Shields says, "Be fearless, be flawless, be smudge free" just in $9.99 for a pack of 30 shields. You can order these online on their website here. They ship worldwide. Also join them on Facebook. I am really happy with this product after I have used it a couple of time. I am also going to start a giveaway for this useful product. This giveaway will be open worldwide and will have two winners. So stay tuned. I hope you have liked this review. Share it from the sharing buttons below this post. Have you ever tried these or looking forward to try them? Disclaimer: PR sample sent for review purpose, this has however not affected my opinions.